Cats like to scratch things. Chairs, carpet, curtains and sofas are all at risk in a home with a cat. Destructive scratching behaviors can happen for many reasons and can be controlled in a variety of ways. As a cat owner, you can prevent your cat from engaging in destructive scratching behaviors by providing alternative scratching surfaces, using products that cover cat claws. At All About Cats Veterinary Hospital, we help cat owners manage their cat’s destructive scratching. Cat destructive scratching can occur for many reasons. Scratching can occur during play, while fighting, while stretching and to mark territory. Domesticated cats that scratch items inside the house often do so simply because they have not learned better behavior. Buy many different types of scratching posts. Some cats like vertical scratching posts, others like horizontal. Some cats prefer carpeted posts, others like wood. Try a variety of scratching posts until you find the type of post that your cat prefers most. When you do find a favored type of post, put posts in various places around the house to ensure that your cat always has access to a post when the need to scratch arises. Use toys and catnip to entice your cat to use posts. Bringing posts to your cat’s attention will help ensure that your cat will use them. Keep your cat’s claws properly trimmed. You can do this by trimming your cat’s claws on your own or get help from your vet or groomer. If you’re not sure how to trim your cat’s claws, talk to your cat’s veterinary team for assistance and advice on the best nail trimming tools for cats. 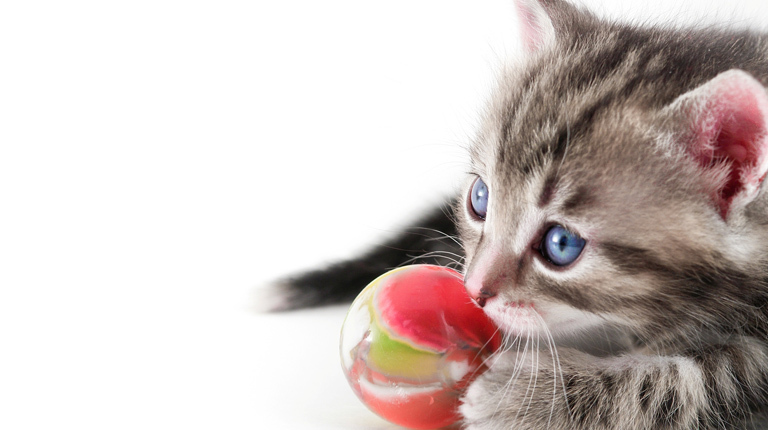 Take away the household items your cat likes to scratch. Removing the items that your cat likes to scratch and replacing those items with scratching posts encourages your cat to use the posts. If you cant remove the items, try to cover them and place a scratching post nearby as an alternative. Cover your cat’s claws with plastic caps. These caps glue over your cat's nails and last for approximately one month and prevent your cat’s claws from doing serious damage to the furniture and other parts of your house. All About Cats offers the service of applying "Soft Paws" for cat owners that have difficulty doing it at home. For some cats, declawing is an appropriate option. It is important for cat declawing to be done correctly and safely. If you are a cat owner in Las Vegas, All About Cats Veterinary Hospital is a reputable, safe place for your cat to be declawed. Your pet’s veterinarian at All About Cats Veterinary Hospital can help you decide whether or not cat declawing is right for your pet.